Put Your Valentine’s Gift from Linden Lab to Good Use! We hope you’re all having a lovely Valentine’s Day in Second Life! If you logged in during the period to be eligible for the special gift from Linden Lab, today you’ll find an extra L$10 from us in your account by midnight (PT) tonight - it’s just a little something that we hope will brighten your day. Looking for a last-minute gift for someone special inworld? There are lots of options for less than L$10 in the Valentine’s Day category on the Marketplace - you can see them all here. And, of course there are thousands of items in the entire Valentine’s Day category, which you can browse here. That Cupid, he's so stupid! Flying around, shooting arrows everywhere, making everyone dizzy, trailing little hearts wherever he goes... He's trying to make love matches all across SecondLife! It's time to stop Cupid before he gets any more stupid! 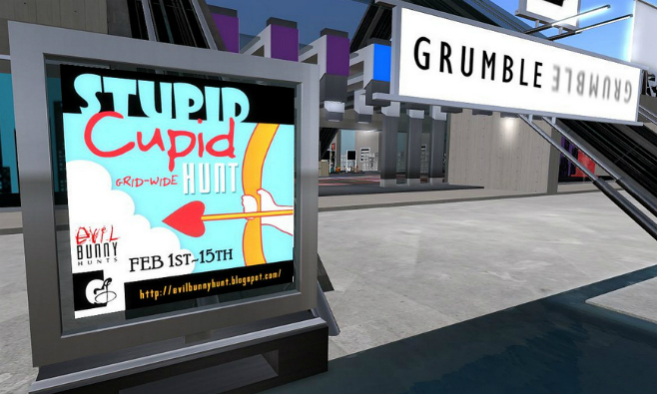 Find the arrows at stores across SL to lead you to Cupid's love nest and fall in love with over 20 sponsor prizes! Running from February 1st to the 15th, don't miss it. This is a unique and romantic world is actually two breathtaking areas separated by the thinnest of veils. Bring that special someone to this alien wonderland! Aoxomoxoa is a romantic place and club, and a wonderful place to meet new people, make friends and just have fun. Come for the romance, stay for the location. 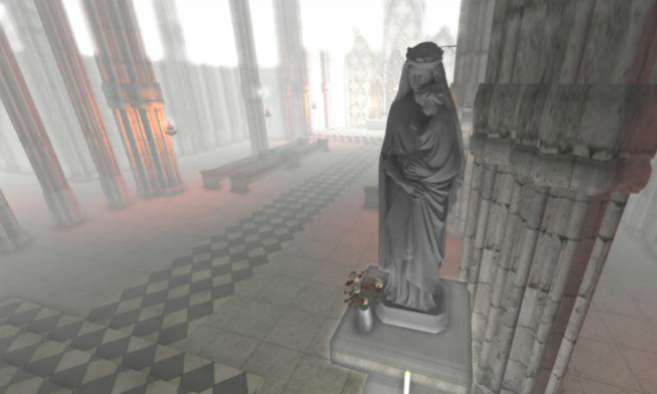 One of the largest Gothic cathedrals in Second Life, this sim provides ample gardens for reflection, contemplation and meditation. Based on the famous Notre Dame cathedral, this is a peaceful reflective place to step back from the busy clutter of the virtual world. Best viewed with maximum graphics, turn urn up that draw distance! On February 14, for 24 hours starting at midnight (Pacific), Second Life residents will join with activists around the world in a spectacular 24-hour dance event for ONE BILLION RISING. This will be the largest day of action in the history of V-Day, the global activist movement to end violence against women and girls. More info including a full schedule of events at onebillionrisingsl.wordpress.com. You can also peruse the romance category in the Destination Guide for many more, and as always, please submit your ownspace or event if you’d like it to be featured. Happy Valentine’s Day! Millions of people have registered for Second Life -- so chances are pretty good that there’s a community that shares your interest or hobby inworld. Connecting with people who share your interests is easier when you know how to efficiently explore the thousands of Groups and Destinations inside Second Life. Find even more tips on joining Groups and connecting with communities in Second Life in our KnowledgeBase. Every week our Destination Guide editorial team pores through the many awesome submissions for new locations and events. Below are a few of the newest Destination Guide entries that stuck with us. They could be an alien invasion through darklit corridors, an intricately detailed fantasy setting or even a surreally romantic metallic swamp. So if you’re looking for something to stimulate that creative spark, why not take a look below? Or join in the fun and submit your own? Welcome to the newest installation at the Woods of Marathon Caye: the fine arts gallery. 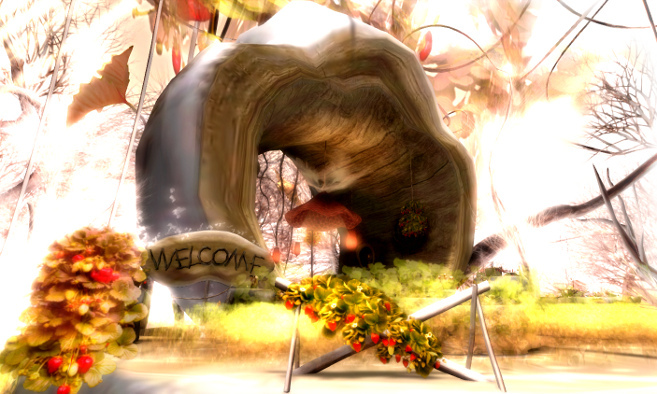 Come here for featured Second Life artistry and an enjoyable place to socialize. Marathon Caye is in full spring season mode as well, so why not try their Spring Awakening Hunt. Explore the sim to find spring daisies bearing gifts. Happy hunting! Tainted Dreams is a romantic fantasy sim built for anyone looking to go on a fantastic date. Dinner under the stars, dancing on the moon, cuddling under love trees, everything is perfectly designed for you and that special someone. Come explore this dreamy custom built sim, together. Dragonlolth is a fantasy realm for those seeking to lose themselves and explore this most magic of realms. Perfect for dragons, fae, elves and more, all are welcome in this intricate sim and dazzling sim. The Sounds Lounge is an open-stage music venue with a laid-back, indie vibe. Come and play your own music whenever you want, listen as live performers showcase their talents and rocking DJ's mix a wide range of sounds. The Sounds Lounge is an open and free hangout for all who enjoy a sense of home, comfort, individuality and appreciate great live music. MTV’s Catfish: The TV Show brings together couples that have online relationships to meet offline for the first time, often with surprising results as the differences between online personas and offline lives are revealed. MTV is now casting the show’s second season, and they’re interested in hearing from Second Life users who have fallen in love inworld, and would now like to meet their love in person. If you’d be interested in being on the show, you can apply online here. We’ve made lots of changes to streamline and improve your experience communicating with others in Second Life. CHUI (the Communications Hub User Interface) is getting ready for primetime. When we last blogged about it, CHUI was only in a Project Viewer; now it’s available as a Beta Viewer, and the next step will be rolling it out to everyone as part of the main Second Life Viewer. Check out the overview video or go to the forum post for more details. We have made several improvements to region crossing that allow a smoother transition between regions, instead of the jerky transition some users experienced in the past. This change also reduces the rate of teleport failure rate. This went out the full grid on January 25, 2013. Since that date, the number of reported teleport failures has dropped by 91%. A new version of Marketplace was released on February, 5, 2013, which adds new emails and provides the ability to opt out of each type of email. This will allow Merchants and Shoppers to be better informed about Marketplace activity -- or choose not to be notified at all. In addition, infrastructure changes were made to improve reliability of email delivery. The Cocoa Project Viewer has updates to streamline development and improve Viewer performance on a Mac. Check out the new full screen mode and more. We will have a Project Viewer for the Normal and Specular Mapping project for content creators to try out. More performance improvements are in the queue as well, specifically related to threaded object rezzing. As we hit milestones, we’ll post updates on these and other projects in the works that will help make Second Life better and better. In the meantime, whether you’re experimenting with Project and Beta Viewers, shopping or selling on the Marketplace, or just exploring and having fun inworld, we hope you’ll start to notice the impact of our initiatives to improve your Second Life experience. Mixed-reality filmmaker extraordinaire, Draxtor Despres, today launched “The Drax Files: World Makers” - a new web series that profiles Second Life users. After watching the first episode, we’re extremely excited for the series, and we think you’ll enjoy it as much as we do. “The Drax Files: World Makers” will be a monthly show on YouTube examining the creative people behind the avatars who continue to move the virtual world of Second Life forward with their passion and persistence. Mixed reality interviews form the basis of very personal stories that profile designers, game-makers, role-players and fashion aficionados, musicians, artists and social-issue activists: for these dedicated residents the avatar is not just a separate pixelated entity, but a true extension of their identity with which they navigate the digital space. The show will utilize real-life footage and Skype interviews as well as machinima from within Second Life and feature a range of creators from self-taught hobbyists to dedicated pros from all walks of life, from all over the world, cutting across gender, ethnic and generational divides. This is a world solely made and nourished by its residents - therefore truly only their imagination can be the limit! 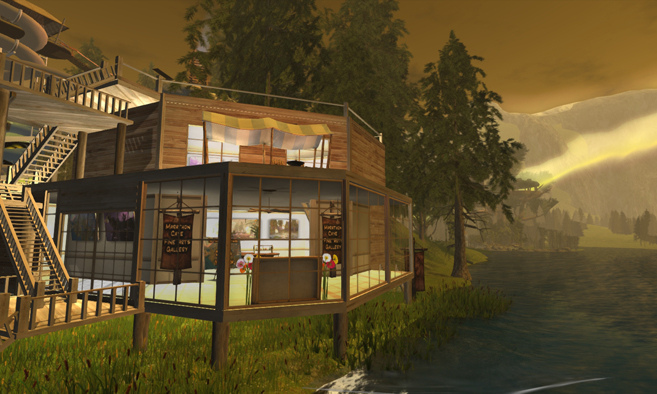 Need a place to call “home” in Second Life? This week’s new QuickTips tutorial video introduces the basics of getting your own home in Second Life. You can rent a home directly from other Second Life residents -- or get a Linden Home as part of a Second Life Premium subscription. Either way, you’ll get a private space to decorate and design that shows off your style. It’s also a place to share — invite friends over to hang out, chat and even party... then head out for a night on the town. With your own Second Life home, you can try on new clothes privately before you explore. 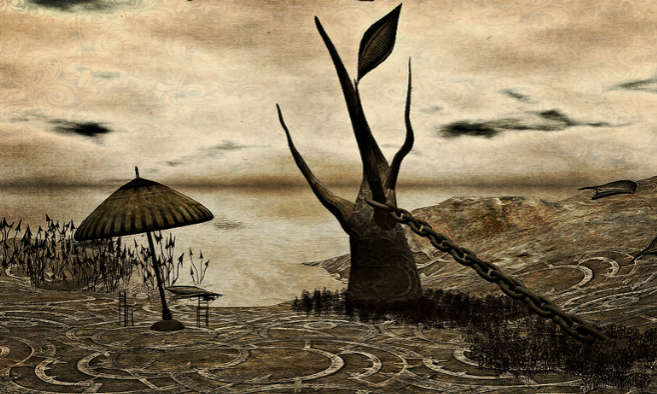 Second Life is fun — but sometimes you might encounter a problem inworld. Need help with your land? Have a billing question? We want to help you make the most of your Second Life. This week’s QuickTips video tutorial walks you through the many support options available to both basic and premium Second Life users. Learn more about our Knowledge Base and Support Portal, as well as Abuse Report options and more. Colossus of Rhodes - Built by Rebeca Bashly - Sponsored by .:EMO-tions:. In addition, BOSL Radio will stream across all nine sims in partnership with the Second Life club The Velvet. There will also be a public “Best FFL” Photo Contest for the duration of this event. The winner will receive items from participating FFL designers. For more information, visit the Fashion for Life 2013 website. As you may have noticed, we recently added some banner ads to SecondLife.com. Today, we’ve also added them to the Marketplace, and we’ll soon expand the program to other Second Life web properties as well. The placement of these ads is designed to be unobtrusive, as we don’t want them to interfere with your Second Life experience on the web, and we’re taking care to keep the content appropriate. These ads are a great opportunity for advertisers to reach the large, global audience that visits the Second Life web properties every day, and we want to extend that opportunity to Second Life merchants as soon as we can. For Merchants, advertising on the Second Life web properties will be a new way to get their offerings in front of potential customers, while at the same time making the ads extremely relevant to every Second Life user who sees them. We have some work to do before we can make the ads purchasable by Second Life business owners, and it’s too soon to say precisely when we’ll be able to, but we wanted to let you all in on this plan early on. We’ll blog again when we have more info to share, so keep an eye on this space! Are you looking for some last-minute decorations, festive costumes, or new Spring fashions to refresh your wardrobe? Come scratch that shopping itch over at the Second Life Marketplace. Check the celebrations section for seasonal fashions, Easter egg cake pops, green beer water slides, and a whole lot more. 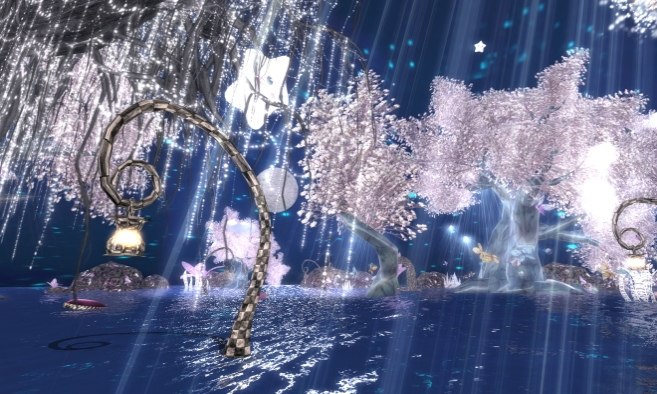 Spring is in the air, and it’s a great time to celebrate in Second Life! We here at the Destination Guide combed through all the awesome submissions and pulleda few we really think embody the spirit of this season. They could’ve had evil bunnies, sunny pastel colors, green rivers, or just embodied the spirit of something fun and a little wild. This time around, we’re bringing you a garden Easter egg hunt, a soothing strawberry forest, a fluorescent take on Alice in Wonderland and a few wild and green festivals. 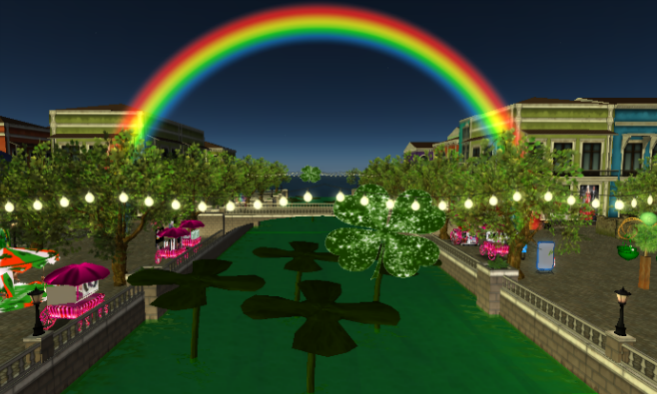 Whether you’re looking to celebrate St. Patrick’s Day, Passover, Hōnen Matsuri, Easter, or just springtime in Second Life, get ready to throw off those winter clothes and bask in the sunshine. So join in the fun and submit your own destination, or just jump below and start exploring. Come to Botanica for the Second annual sim-wide Easter Egg Hunt. The Easter Bunny rocketed though Botanica, hiding 12 special prize eggs. Find all 12 eggs hidden in the gardens and win the Retro Rocket Bunny Grand Prize! Best hurry, this hunt only lasts until May 5th. It's Saint Patrick's Day Weekend in in London City with a city-wide party all week long! Featuring Irish bands, pub crawls, even prizes for best in theme, come celebrate all things Irish. For more details, visit http://mainlandlondon.blogspot.co.uk. Come to Tribute City as they celebrate all things green with a month-long festival to honor St. Patricks Day! Events include contests, raffles, live DJ's, tribute bands, fun rides and much, much more. For more information, be sure to visit http://tributecity.blogspot.com/. 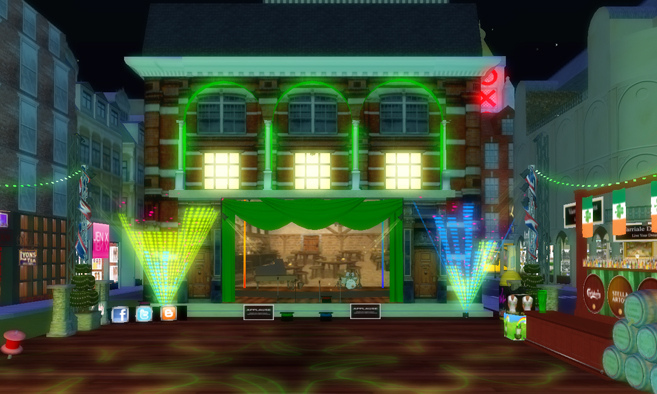 The festive atmosphere of St. Patrick's Day Town blows through the senses like a virtual Irish breeze. Ride flying gold coins, dance a jig with Leprechauns, drink green beer while, sing along with friends at the outdoor pub piano and fill your basket with all things Irish. 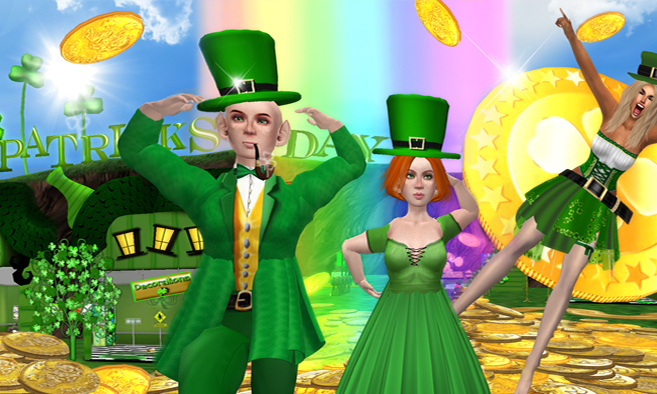 Follow the rainbow to the most colorful party around: St. Patrick's Day Town. Welcome to Almost Wonderland, a magical and mystical place filled with a darker inspiration from Alice in Wonderland and other weird, twisted and fun elements of fantasy. Marvel at the wondrous sights, ride dark carnival rides or visit creepily interesting store. there's truly something for everyone in Almost Wonderland. It's that special time of year again! The creators invite you to a hidden grove in the strawberry forest. You will discover many gifts, hunts, plants and so much more. Have fun! Second Life is a fun and social space, so meeting and making friends is easier when you understand the basic controls and options for chat. Learn about the text and voice chat features that can help you meet and make friends in Second Life in our latest QuickTips video tutorial. Watch the QuickTips video tutorial here. Once again, the Destination Guide editorial team pored through countless submissions for all sorts of interesting and varied locations. Quite a few events as well, truth be told. Much like last time, we wanted to highlight things that caught our attention. They could have a higher than usual level of polish, a silly sense of humor or just be plain fun to wander through. That said, let’s get to it. This time around, we’re bringing you some more adventures than usual. Prepare to delve into the jungle and find a tropical warrior’s final treasure, seek out demonic eggs to uncover the death of a beloved fairy tale egg, or dive into the depths of mind-shattering madness in a dark and dreary carnival. 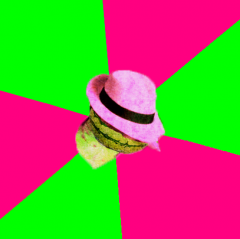 For those of you looking for something a little more light-hearted, we’ve also got a club ripped straight out of Miami (by way of Dubai), procedurally generated Mandelbrot patterns and a soothing, summertime Siberia. As always, few things are as fun as sharing new places, so show your creative side and make something cool. 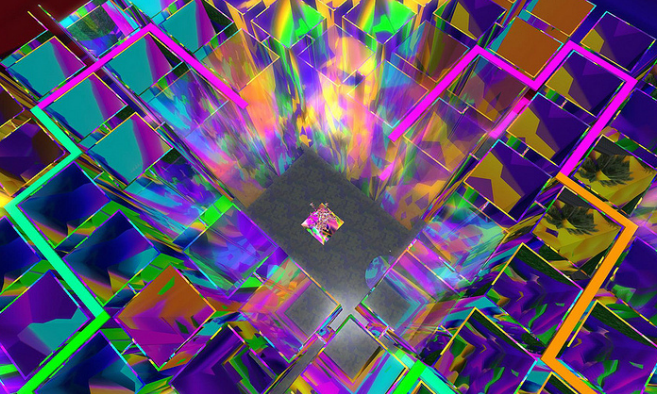 The 3D Mandelbrot Fractal Art exhibit showcases sim-wide variations of Mandelbrot fractal art. 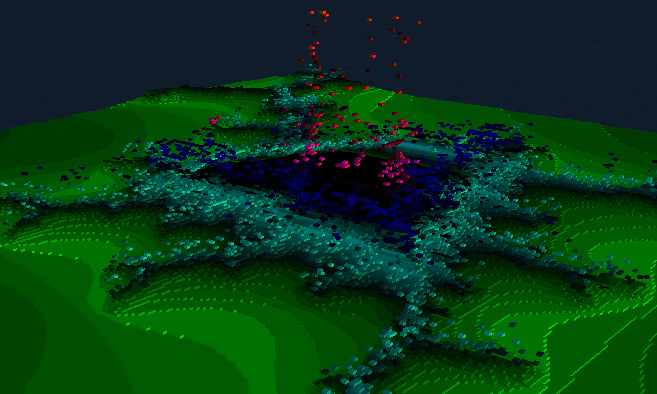 The spectacular script-controlled fractal landscape changes many times throughout the day. It's time to go insane at MadPea's Madness Fair! Running April 7th at 12 pm through the 27th, the Madness Fair will have vendors from all over the grid selling a wide range of products for L$150 or less. Also expect opening day DJ's spinning killer tuneage, fun games, carnival rides and a generally maddeningly good time. See you there. 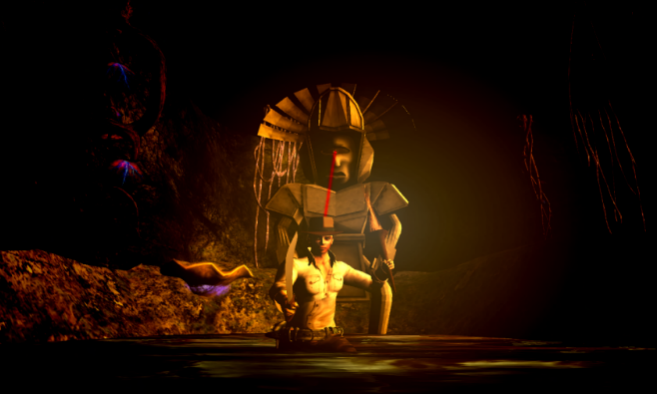 Do you have what it takes to find the warrior's treasure? Embark on an epic expedition, solve puzzles and dodge deadly traps as you navigate your way through the Devil's Cave and crack the vault to discover precious treasures in this mysterious and steamy setting. The treasure is waiting, go and claim it. A soothing and awesome place reminiscent of the Siberian taiga. Take a step back and return to a more natural space, an arboreal land completely surrounded by forest. If you have a private region in Second Life, there are several special services you might occasionally need, like region moves and name changes. 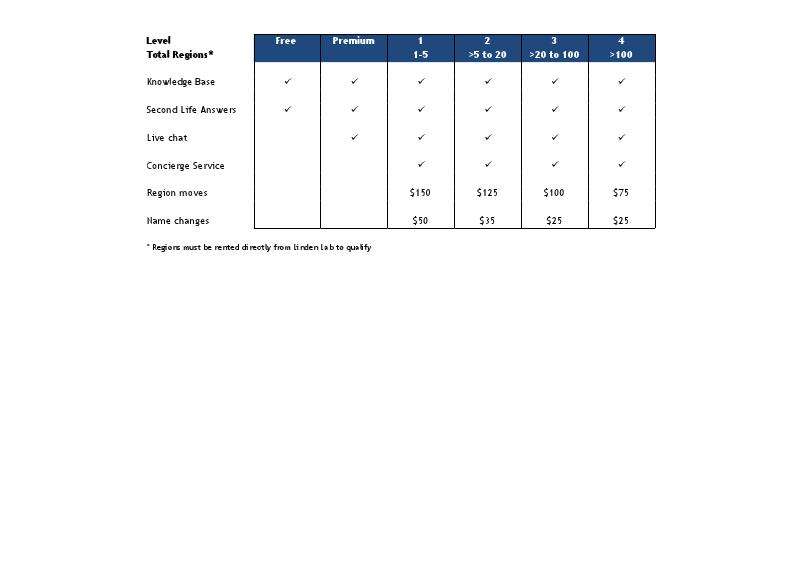 To request one of these private region management services, please submit a case through the support portal. Today we’re excited to announce that the new Communications Hub User Interface (CHUI) is now a part of the main Second Life Viewer. The update should download automatically, or you can download the new Viewer here. As we’ve previously blogged about, CHUI puts Second Life’s communications tools in a more flexible UI that lets you customize it for the ways you prefer to communicate inworld. You can even turn it all off when you want to build, make movies, or simply be left alone for a while. Get to chat preferences and privacy preferences directly from the Conversations window. Choose which conversations are in their own windows, and which should be in a tabbed window -- you can have both now. Collapse any conversation to a single-line input with popup messages. See users and objects you have blocked in a new tab in the People window. How do you use CHUI? should help everyone get up to speed quickly. To all those who helped beta test CHUI, thank you for all the great feedback you have given us along the way, which was incredibly valuable and helpful during the development cycle. Your input is truly appreciated, and we will, of course, continue to improve on this feature in future releases. From Draxtor Despres, here’s another great episode of The Drax Files: World Makers, which profiles creative Second Life users. The latest episode features artist, fashion designer, and Second Life merchant Eshi Otawara. 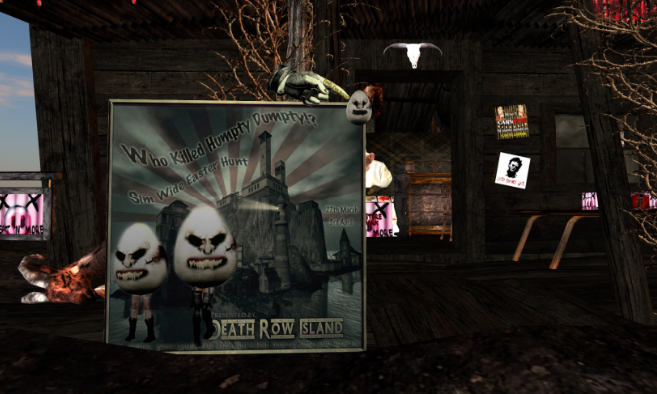 below, and be sure to check out Eshi’s store on the Second Life Marketplace to get some of her fantastic designs! We’re happy to announce a new special offer for Second Life on Amazon - a pack of virtual pets! The Troobles have arrived and are squeaking with excitement to be the stars of our third limited-time, special promotion on Amazon. From now to April 25, 2013, you can get the Pet Pack – The Troobles (a $9.95 value) for free. 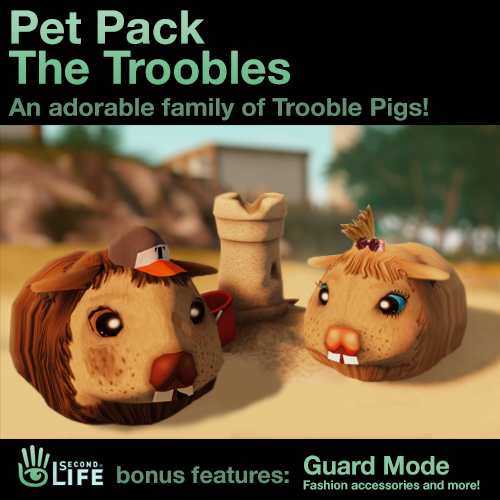 The Pet Pack includes an adorable family of Trooble Pigs including Daddy, Mommy, baby sister, and baby brother. Each Trooble has their very own fashion accessories and special talents. Mommy Trooble offers customized greetings to your visitors, Daddy Trooble can go into guard mode and teleport trespassers, and the babies are always up for a cuddle. There is a limit of one Pet Pack per customer, and this special offer is available only to users of the free Amazon Game Connect service, which is currently limited to customers in the US. If you’d like a little more cute and cuddly in Second Life, pop over to Amazon and grab your free Pet Pack – The Troobles before April 25, 2013. Casting Call: Apply to Star in a Second Life Ad Campaign! Pictured: Lorna H. and her Second Life avatar counterpart Lollie Bigwig. 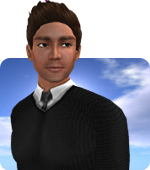 Banker by day, but intergalactic space cowboy in Second Life? We may be looking for you! 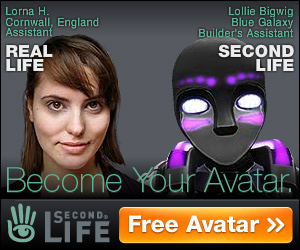 We are now casting both humans and their avatars for a new promotional campaign that will be featured on SecondLife.com and across the web. For this campaign, we’re looking for people who are comfortable revealing their “human side” alongside their avatars in Second Life, like in the image above. Specifically, we are looking for those whose avatars do not physically resemble their owners. This promotion aims to spotlight the diverse and creative communities in Second Life, so please apply if you’d like to share your passion for Second Life with the world! To be considered, please fill out this application form by 11:59 PM Pacific on Wednesday, May 1, 2013. All submissions will be reviewed by the creative production team for the campaign, but no personal information provided will be disclosed publicly unless you are selected and specifically consent to participate. We’re happy to share another great episode of Draxtor Despres’ The Drax Files: World Makers. 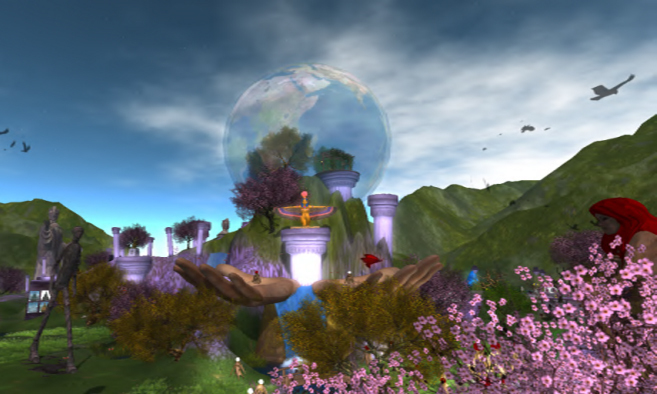 The latest episode features Zander Greene, one of the organizers of Fantasy Faire in Second Life. if you have trouble viewing the video. 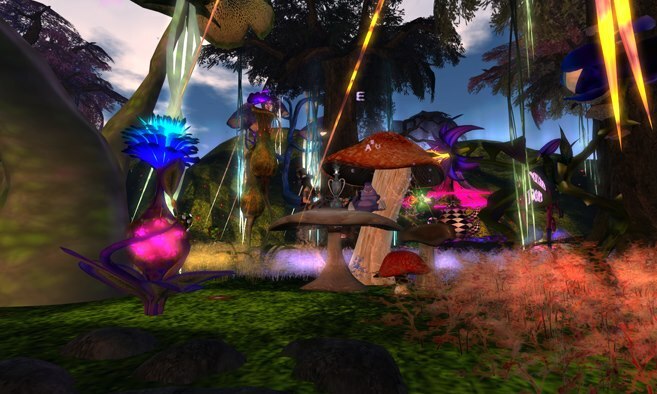 Now in its fifth year, Fantasy Faire is a fundraiser for Relay for Life, that will feature the work of some of Second Life’s top designers and merchants. 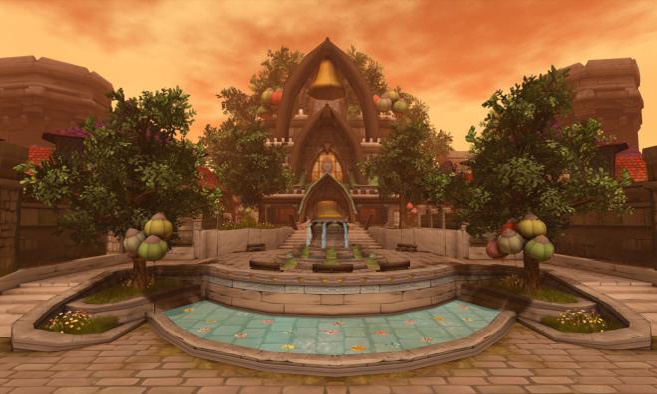 Explore fantasy-themed builds and buy unique designs from the more than 140 merchants participating to support the American Cancer Society’s Relay for Life in Second Life. 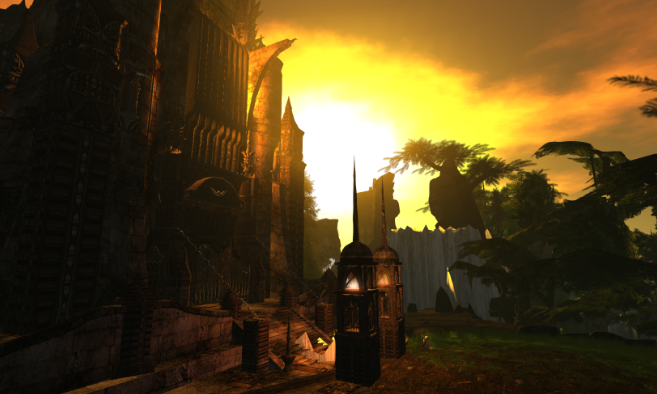 Fantasy Faire runs through April 28th - check out the official listing in the Second Life Destination Guide. Please note that the event does not open officially until 6 a.m. (Pacific) on April 20, so the teleport link may not be active prior to that time. 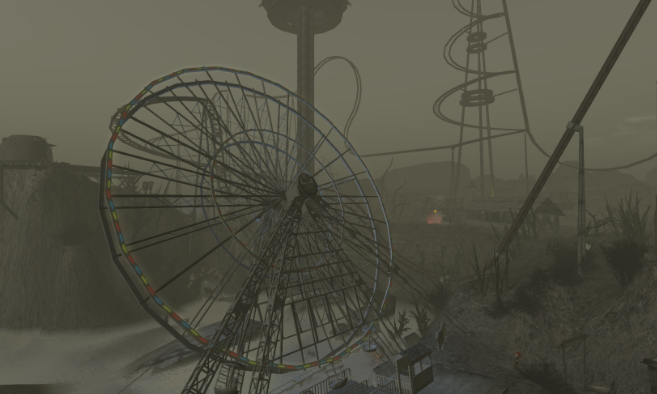 It’s coming around to that time when we at the Destination Guide show off some interesting and generally awesome destinations new to Second Life. Much like last time, we wanted to introduce you to a few of the newer locations that caught our attention. So let’s get to it, huh? This week, prepare for an invasion of art. Journey to an entire ecosystem of rusting, clanking machines, or take a look at a land of nine unique zones of thought. How about a perspective-bending island, or a wildly alien interactive music venue? But if all this sounds a little too far fetched, fear not, for we’re also bringing you a live boxing venue and a tango studio in the middle of a wheat field. As always, we love seeing all your new places, so join in the fun and share your own. Ocho Tango is a land dedicated to tango, with a milonga for dancing and live concerts. Fully immerse in a pampas, relax or stay with friends and loved ones. A great spot for photos as well. Constantly the top ranked boxing gym in second life, House of Champions offers a unique user-friendly environment, full support and free daily events. Containing one of the largest sporting communities on the grid and holding numerous special events with prizes, there's always something fun to do. House of Champions provides a truly immersive experience. The most exciting experiences in virtual reality are not so much the ones that totally alter the viewer's perspective of what's real as the ones that are able to expand, augment and enlarge the real. It is in its relationship with the real, rather than attempting to substitute itself for the real, that the most original use of virtual reality is found. This is Virtually Real. The Sky Sculpture gallery is open! Take a ferry to the isle for an unforgettable journey into beautiful ancient and futuristic arts. All statues exhibited in the gallery are creations of Ub Yifu. The Art Planets is an art installation to give visitors nine different emotional feelings, reflected through subconscious minds. Inspired by a variety of immersive artists, this is one installation you don't want to miss. 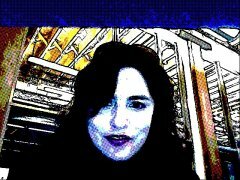 The latest episode of Draxtor Despres’ The Drax Files: World Makersis here! 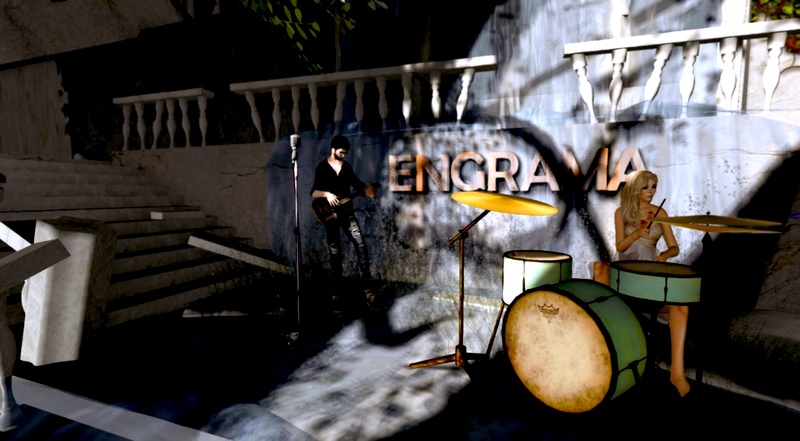 This week, Drax profiles the rock band, Engrama, who perform original music live (without pre-recorded backing tracks) in Second Life. You can check out some of Engrama’s music here, shop for their merchandise inworld here, and catch them performing live in Second Life on May 11! 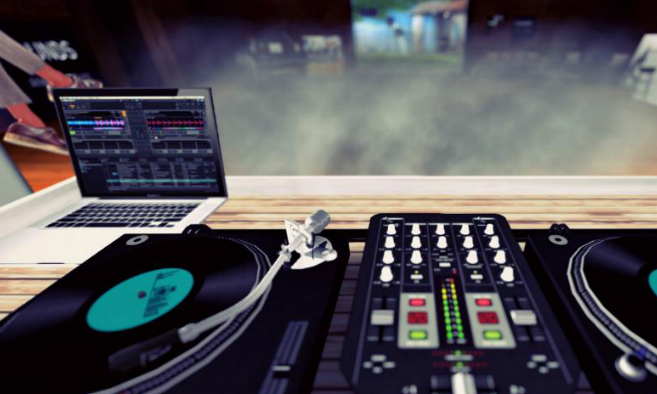 Want to discover music like Engrama in Second Life? Explore the Music category in the Destination Guide and check out the Live Music event listings. 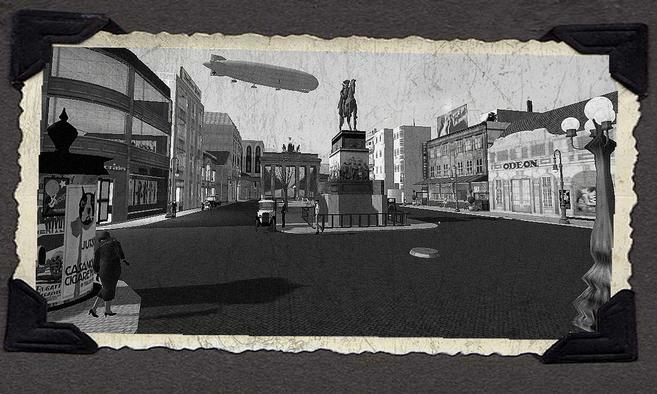 When you log in to the Second Life Viewer today, you’ll be asked to accept an updated Terms of Service. As with any legal document, it’s important to read in its entirety before accepting, but we wanted to highlight one of the changes we’ve made in this update: to better protect Second Life users against fraud, the updated Terms of Service make it clear that trading of Linden dollars (L$) on exchanges other than the LindeX, Second Life’s official L$ exchange, is not authorized or allowed. As the official exchange owned and operated by Linden Lab, the LindeX is the best place to buy and sell L$ for use in Second Life. It consistently offers the best rates for both buyers and sellers, and by limiting L$ trading to the exchange we operate, we are better able to protect users against fraudulent activity. The majority of Second Life users who purchase L$ do so through the Second Life Viewer by clicking on the “Buy L$” button. There will be no change to that function, as these orders are placed directly through the LindeX. Similarly, shopping on Marketplace will not be impacted. 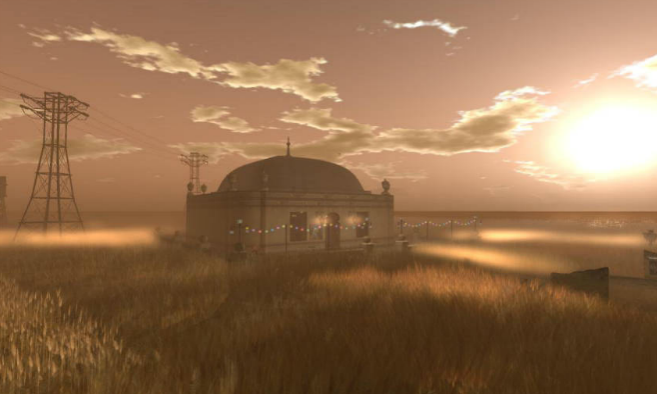 This June, Second Life will celebrate its 10th birthday, thanks to users like you! We have some fun things planned to celebrate the occasion (keep an eye on this blog for more on that soon! ), but we'd also like to highlight your events. Like last year, we'll have a special category in the Destination Guide for Second Life birthday-related events. No one throws a better party than the Second Life community, and if you're planning an event to celebrate Second Life's 10th birthday, we want to know about it! Submit your event or party information to the Second Life Destination Guide Submission Form (use the misc category) or via editor@lindenlab.com, using “SL10B” in subject line on the form or email. In addition, there will be an organized community celebration happening that is sure to be great, and they are currently taking applications for volunteers, performers, and exhibits here. This week, Drax interviews Edinburgh-based motion capture artist Abramelin Wolfe -- founder of the successful animation and creations studio Abranimations. 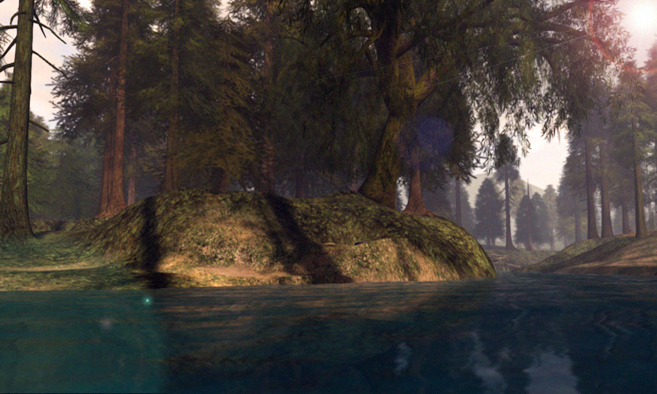 You can check out Abranimations’ shop on the Second Life Marketplace or directly teleport to the store inworld. Motion capture artist Abramelin Wolfe and his wife are based in Edinburgh, Scotland.